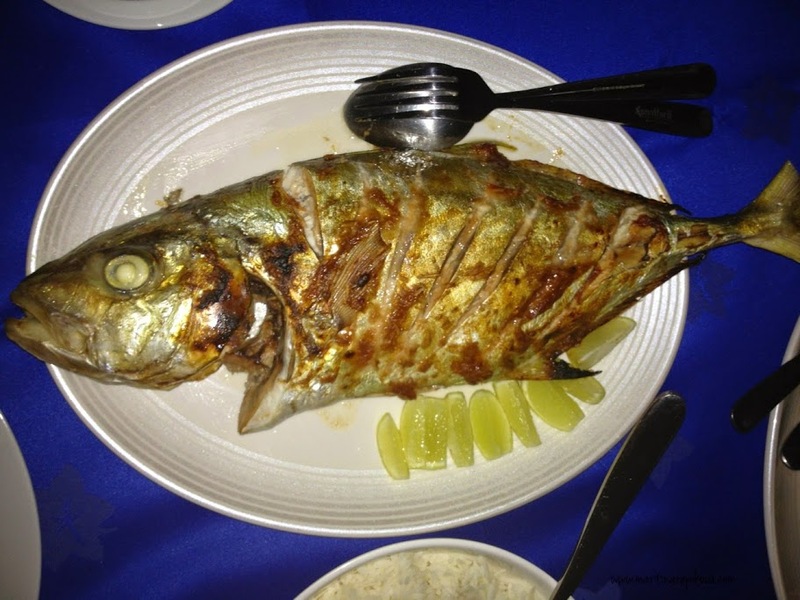 Jobfish is a local fish on offer in most of the restaurants – tastes good. The second local delicatesse is a fruit bat. There are a lot of bats around. I’m not sure whether they prepare it grilled or baked, but somewhere is reportedly also a bat terrine on offer. When we asked at one place whether they serve it, we heard it is on the menu, but it is “not the season”, meaning no bat was captured recently. I was told that during the “bat hunt”, a very thin net is hung up in between the trees. It needs to be very thin so the bat´s sensors do not see it. The animal flies into the net, falls to the ground and it is unable to fly away from the ground. Then a collector comes, collects bats and sells them. Other food staples are fresh octopus salad, fish carpaccio and anything from coconuts.